Simon Newman (Neumann) was born in 1846 in Willmars, Baveria, to Josef and Monna Nussbaum Neumann. Simon was the fourth of seven children: Ricka, Fanny, Solomon, Simon, Julia, Sigmund, and Marianne. Simon’s sister, Fanny Neuman, married Sol Wangenheim in 1859. 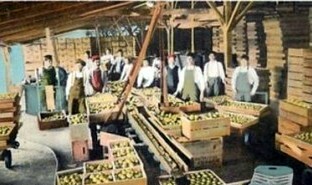 They were the first of the Neumann family to arrive in California. Sol had come to California in 1853, did well in merchandising, and made enough to return to Europe to marry Fanny – a common Jewish story in the Wild West. In 1862, Sol Wangenheim arranged for his brother-in-law, Simon Neumann, to come to the American West. Simon Neumann, now Simon Newman, took the fastest route, crossed the Isthmus of Panama, and arrived in San Francisco at the age of 16. He was frugal and ambitious. He spoke Hebrew, German, and soon, English – all the while learning American customs. In 1864, when production slowed in the Comstock, Wangenheim moved his store to Markleeville in Alpine County and Simon came with him. In 1869, Simon Newman, backed by his brother-in-law, went into business for himself at Hill’s Ferry in the San Joaquin Valley, situated at the junction of the San Joaquin and Merced Rivers. Simon Newman’s business grew, and so did his reputation. 2,500 farmers and ranchers grew and raised wheat, vegetables, cattle and sheep, with Newman granting them credit on their upcoming crops. 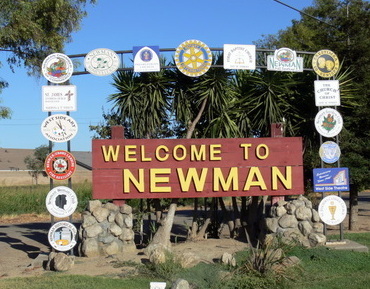 By 1877, Newman had his store and a 4,000-ton grain warehouse, and was shipping 15,000 tons of agricultural produce a year – all the while operating ranches, buying land, and raising cattle and sheep. In 1877, Simon Newman married Pauline Strauss of San Francisco. Thereafter, he established his residence in San Francisco, traveling weekly by train to Hill’s Ferry. His brother, Sigmund Newman, stayed on in the Valley as his resident manager. When Simon Newman learned that the Pacific Railroad was to build its Valley Line into the San Joaquin Valley, he gave 320 acres of land to the railroad, just a few miles away from Hill’s Ferry, and there created a town site called Newman, where the railroad was to terminate. Business in the new town flourished. The little town of Hill’s Ferry — both the people and some of its buildings — soon shut down and moved to Newman. 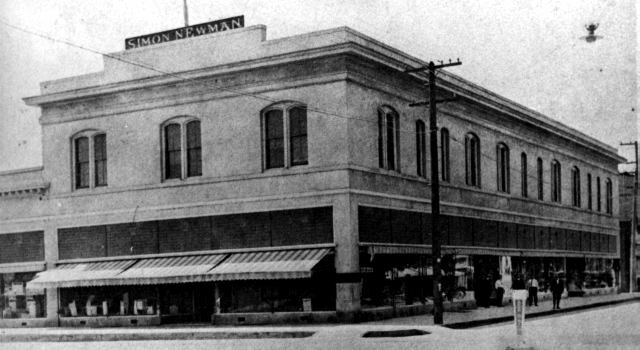 In 1898, Simon Newman consolidated all his ventures into the Simon Newman Company. Newman was also one of the organizers of the Pacific Vinegar and Pickle Works, and an investor in the North Alaska Salmon Company. By 1970, still in family hands, the Simon Newman Company was one of the largest family-held agricultural enterprises in California. During the Civil War, Simon Newman was a member of the Virginia City Militia, spending many days and nights guarding gold and silver in government offices from Confederate sympathizers. In 1903, Newman founded the Bank of Newman. The bank grew and was eventually merged with the United California Bank. Simon Newman joined the Odd Fellows in 1875 and remained an active member until his death. In San Francisco, Newman became a pillar of Congregation Emanu-El. He was member of the Board of Directors and also served a President of the Congregation. In 1877, Simon Newman married Pauline Strauss of San Francisco, the daughter of Louis and Lena Strauss. Rabbi Elkin Cohn of Temple Emanu-El officiated. Simon and Pauline had five children: Rose, Minnie, Louis, Edwin, and S. Walter. 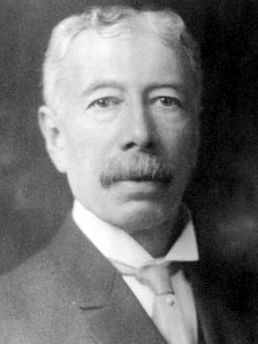 Simon Newman died in 1912. He is interred in the Home of Peace Cemetery of Temple Emanu-El in Colma. Edgar M. Kahn, “Simon Newman and Newman, California,” Western States Jewish Historical Quarterly 2/1.